Eastern Europe provides an unusually competitive market amongst web and software developers. 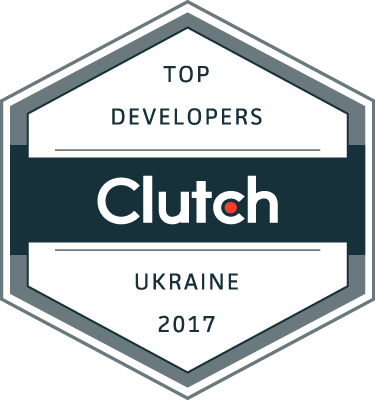 As top global businesses square off to utilize the industry leading services they offer, we’re excited to announce we’ve been featured as a leading Ukrainian Developer in addition to a top .NET developer on Clutch. Since our inception in 2002, we have continually strived to provide exceptional, cost effective service across a wide variety of projects. While our client’s satisfaction is always our primary objective, we are happy to be featured amongst existing research published by Clutch, a B2B market research firm. Their analysts rigorously evaluated our business across a dozen quantitative and qualitative factors, including direct interviews with our clients. One of the many ways that we have differentiated ourselves amongst our competitors is our dedication to project management, streamlining the process as much as possible for our clients. To learn more about us read all N-iX’s reviews, to learn more about how we were evaluated against other software developers check out our Clutch profile.